For this week’s book promotion highlight, I’m featuring the Nuclear Summer giveaway and the Supernatural Thriller giveaway! Looking for dystopian reads and post-apocalyptic worlds? Try the Nuclear Summer ebook giveaway! Prefer supernatural thrillers and paranormal suspense? Check out this ebook giveaway! This is a cover for Melange Books. 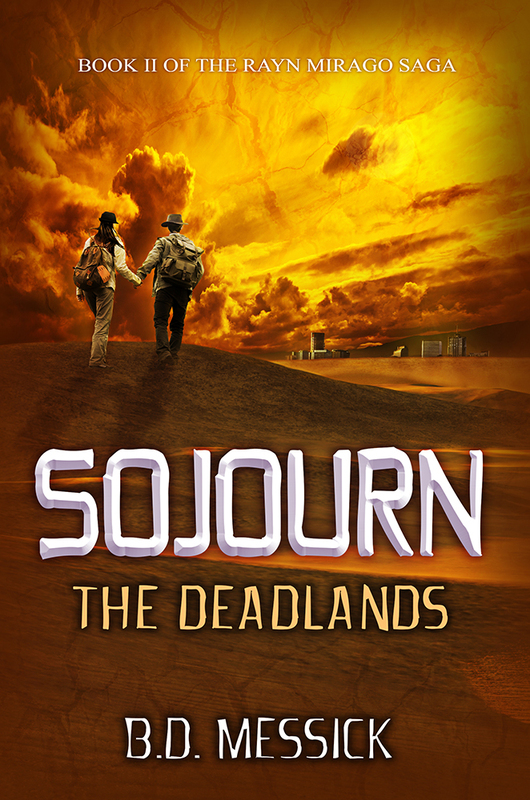 For this cover, we chose to keep the theme similar to the first book in the series, Sojourn: The Wildlands. To do this, we kept a few key elements: the two characters walking with their backs to the reader, a desolate landscape, similar placement of the title treatment and author name, along with the late evening lighting. Though we tried a couple different proofs before this, we found this one to have the strongest appeal.